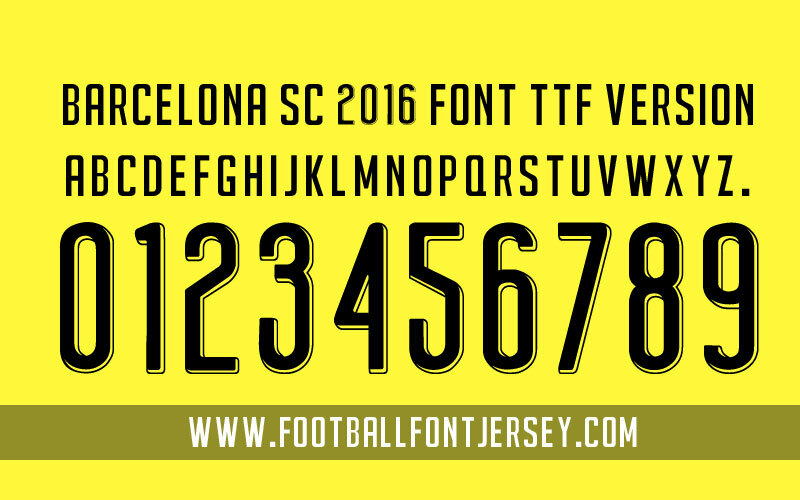 We try to update club from south america , It’s Barcelona SC font 2016-2017 season , we made TTF / OTF format . This format you must instal first like usual font and you can type directly from keyboard for all program in your computer. 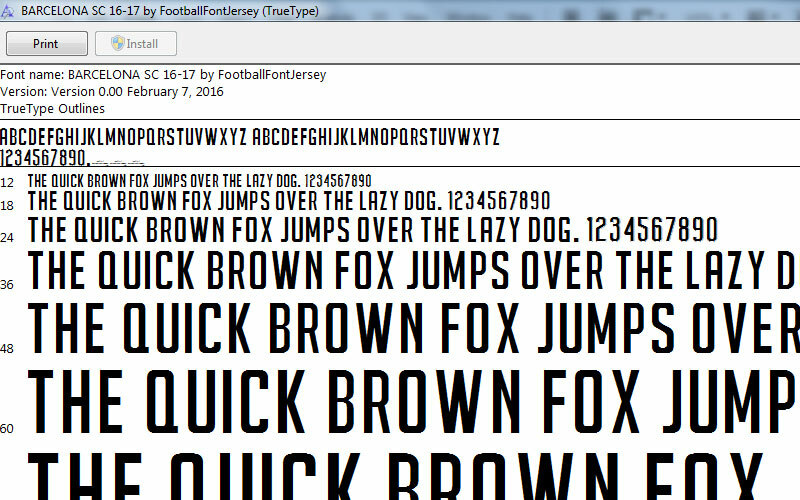 This entry was posted in Barcelona SC, Rest Of World and tagged 2016, Barcelona SC, Ecuadorian Serie A, Font, OTF, TTF.